These Romkugler are not rum truffles in the conventional sense, I guess they are most likely the original cake pop. 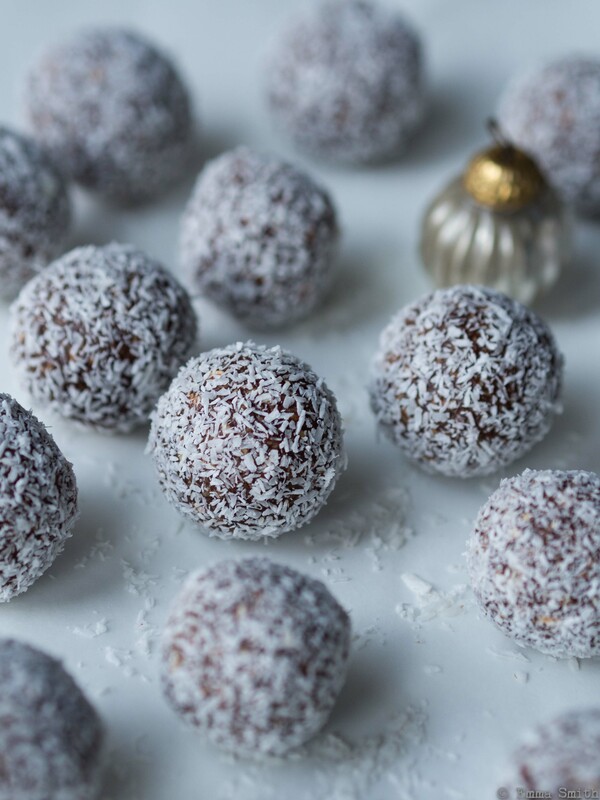 Created by Danish bakers as a way to use up left over cake, this recipe uses porridge oats instead of cake but you can substitute the oats for cake for a more authentic rum ball. These are quick to whizz together if you have a processor and are easy – if a little messy – to make. This recipe is taken from Signe Johansen’s book Scandilicious Baking.